Payday 2 is what little kids dream of when they play cops and robbers. It is a criminal mastermind’s bank robbery fantasy come to life in the form of a four player co-op shooter. Featuring the original cast from Payday; Dallas, Hoxton, Chains and Wolf embark on another set of jobs to fulfill their insatiable lust for that paper. 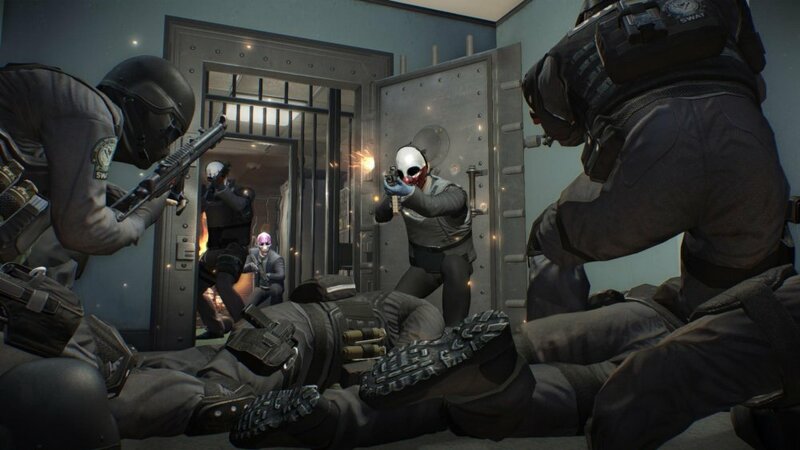 Overkill has pulled out all the punches and crammed everything they could into Payday 2, leaving players with a beautifully crafted crime simulator that will have everyone clamoring to pull off the perfect job. 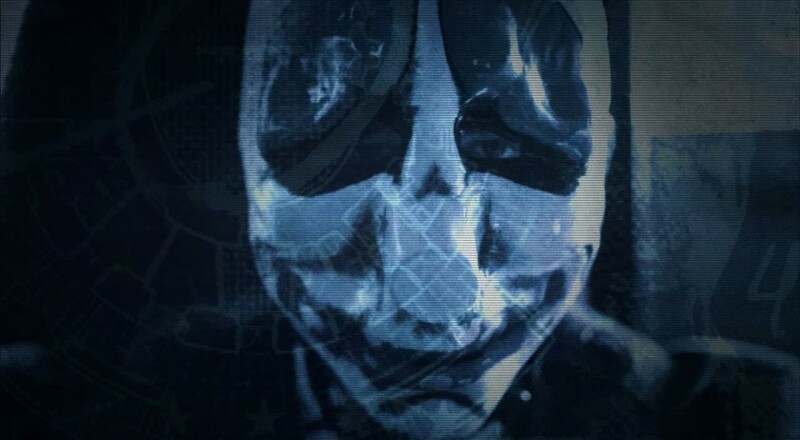 To find jobs in Payday 2, Overkill has introduced Crime-Net which is their online matchmaking system for crooks to group up. Thematically it looks and feels like a hacker’s dream with different jobs populating an interactive digital map. The job name, difficulty, pay, and objectives are all displayed when selecting a particular mission. The map will also display how many players are currently in the lobby for that mission, and anyone is welcome to join since there is near-seamless drop in/drop out co-op. If a group of friends are looking to play on their own, the host can disable drop-in and the crew can play in peace. The beauty of Crime-Net is that it feels like a living, breathing criminal underworld. The downside is that if the host is wanting to pull a particular job and it is not available, the group may be waiting a couple minutes for it to appear on the map. Missions can be done alone, with AI filling in for teammates but be warned: the AI will not fulfill objectives. They won’t carry bags, pick locks, or even tie up hostages. For some reason the AI will go out of its way to save a human player’s life but can’t fix a drill when it breaks down. What it comes down to is that Payday 2 is a tried and true co-op experience, so people please play with friends. Once a mission is selected players are free to outfit themselves with a variety of weapons, gadgets, and armor before heading out to do crime. 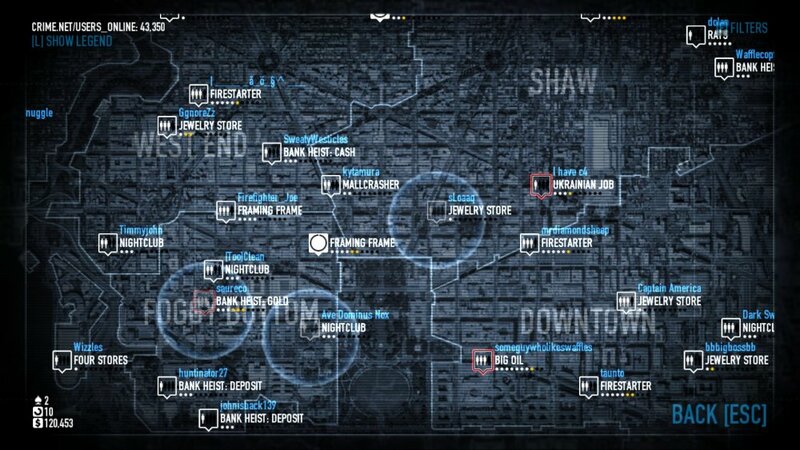 The missions have a large variety when compared to the original Payday’s six missions. Lower difficulty jobs involve knocking off jewelry stores or small shops and work their way up to multi-day bank heists and transporting drugs for the cartel. The more involved jobs will have several different locations and increase in complexity. For example, if the second day of the mission goes sour the crew may find themselves having to take a detour and end up in a location that wasn’t in the original plan. The objectives may change halfway through the mission and it is up to the group to coordinate and figure out contingency plans on the fly. While mission variety is an awesome upgrade to Payday 2, maps are recycled quite often, so do not be surprised if the same bank has to be robbed multiple times over the course of a session. Page created in 0.2290 seconds.